Boson author in the news! The Charlotte Observer has run a feature on Jean Houghton-Beatty and her books that tell about the World War II era and the period that followed. 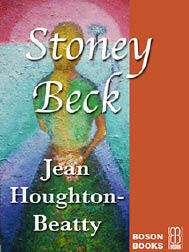 Her books are Different Drummers, about an Englishwoman who marries an American soldier post-war, and who is thrown into the politics and culture of the South; and Stoney Beck, a romance/family drama that features the tragedy of Huntington’s disease. Also check out her website here.